Only four Americans have ever won the adult black belt men's IBJJF World Championship title. The field of U.S. competitors at the 2018 IBJJF World Championship is one of the most talent-rich ever and don't be surprised if you see more Americans than ever before on the podium. 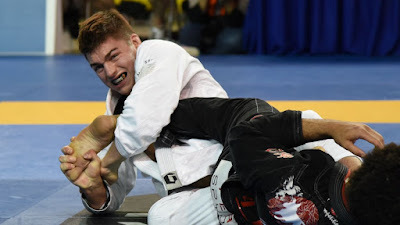 Mikey Musumeci is the fourth-ever male American black belt world champion. The Brasa CTA representative has only competed in select superfights since winning the title last year in order to focus on college, but make no mistake; Musumeci is absolutely the favorite coming into Worlds this year. Shane Jamil Hill-Taylor is a Team Lloyd Irvin standout who narrowly missed a finals berth at Worlds last year after a hotly debated loss to Cobrinha. Since then, Hill-Taylor has placed second at Pan Championships and won numerous IBJJF Open events. Edwin Najmi is a finisher. The Romulo Barral black belt has stated many times that he's not interested in winning fights by advantage—the mission is submissions. Najmi has been on a tear all year long with impressive performances at various events, both open and invitational. Keenan Cornelius is one of the most widely studied and innovative athletes of the modern era. But he's missing one thing that would cement his legacy as one of the all-time greats: a black belt world championship title.